The workshop comprised of a series of plenary lectures along with oral and poster communications designed to create a platform for sharing of knowledge, experiences, good practices and strengthening existing and creating new networks among the participants as well as chance to plan follow-up collaborative work. The programme gave ample time for participants to contribute to discussions and discuss their own research problems. 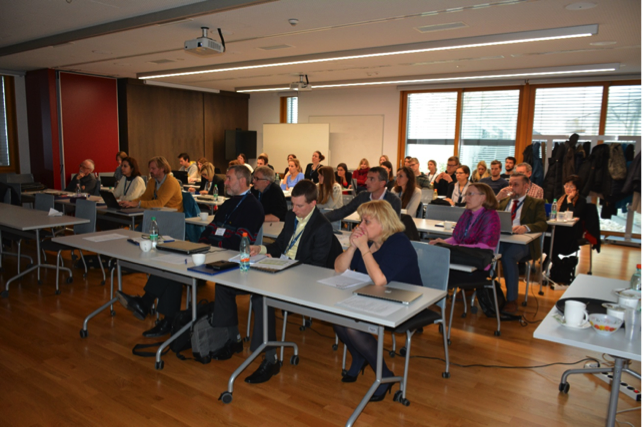 In total, the workshop attracted forty-six participants from nine different countries including Austria, Belgium, Czech Republic, France, Italy, Romania, Spain, Slovenia and the USA. The backgrounds of the participants ranged from senior researchers, doctoral students, & professionals from Industry. The workshop touched on many topics concerning the use of stable isotopes in food research from instrumentation, measurement, data analysis to novel applications. Food traceability is an emerging topic that is becoming increasingly relevant especially in terms of international trade. For the export and import of food, the development of traceability systems has been identified as a priority, especially in connection with food safety. Organization of such workshops enable the exchange of knowledge and ideas and can play an important role in a deeper understanding of how meteorological and geochemical signatures are transferred into food systems. This knowledge would help to generate of isotopic and multi-element maps that could be incorporated into traceability systems. Comparative databases constructed from these data can then be used as benchmarks in ongoing scientific developments of the future. Federica Camin holds a PhD in Agricultural Science and Biotechnology. Since 1998 she has been working as a researcher at Fondazione Edmund Mach, where she is currently the head of the ‘Stable Isotope and Traceability’ unit. Her main areas of research concern the application of stable isotope ratio analysis of bio-elements to food, aimed at characterising geographical origin and controlling and protecting quality and authenticity. 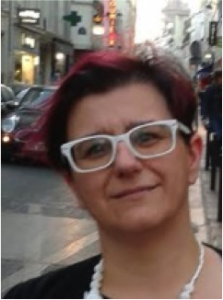 Federica Camin is the scientific coordinator of the Italian wine isotopic data bank (EC Reg. 555/2008; from 2007) and of the Stable isotope Italian group, member of several analytical methods boards, and the author of over 100 scientific papers and over 100 communications at national and international conferences. ABSTRACT: When using isotope ratio analysis for food authentication and traceability, the comparison with a reference data set (databank) is of tremendous importance. Authenticity and representativeness of the reference samples are crucial aspects that have to be fulfilled particularly if any jurisdiction becomes involved. Among the existing isotopic databanks, some have been built over many years and are yearly updated. This is the case of official databanks based on regulations (e.g. EU wine databank) or of databank created by product-specific association or consortium (e.g. AIJN for fruit juices, Grana Padano PDO cheese). These databanks have the drawback to be not freely accessible. 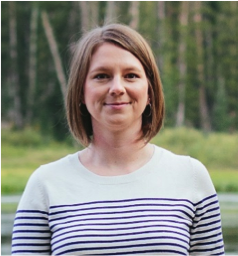 Lesley Chesson is the President of IsoForensics Inc., a private analytical services and research company located in Salt Lake City, UT, USA, that focuses on forensic applications of stable isotope analyses. She received her B.Sc. in Biology at Elon University (2002) and her M.S. in Biology at the University of Utah (2009). Lesley was approved as a forensic practitioner by the Forensic Isotope Ratio Mass Spectrometry (FIRMS) Network in 2013 and is a member of the FIRMS Steering Group. ABSTRACT: Stable isotopes are biogeochemical markers useful for characterizing and investigating food – for example, to distinguish authentic from adulterated products or to verify food production and source. Some stable isotopes—including those of the elements hydrogen and oxygen in water and strontium in the environment—exhibit distinct continental patterns called isotope landscapes, or isoscapes; these isoscapes can provide useful region-of-origin information in food investigations. This presentation describes the development of food isoscapes for scientific problem solving, with an overview of methods and techniques, plus examples of isoscapes application. 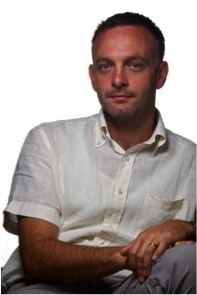 Pietro Franceschi obtained a PhD in Physics at the University of Trento in 2004 focusing on the study of the dynamics of molecular collisions, performed in collaboration with the Laboratoire de Chimie Physique (LCP)-Université Paris-Sud and the ELETTRA Synchrotron Light Source. From 2004 to 2006 Dr Franceschi held a position at the Department of Physics of the University of Trento to the study the application of non-thermal plasmas. In 2007 he won a position at the FERMI@ELETTRA facility to develop an ion trap to perform spectroscopic experiments on biomolecular ions. In the same year he received a grant from the Provincia Autonoma di Trento to develop innovative Mass Spectrometry protocols for metabolomics at the Fondazione Edmund Mach. In 2010 he joined the Biostatistics and Data Management group at FEM with a research activity, which covers data generation to data analysis. His research activities include the development of innovative algorithms for the analysis and annotation of metabolomics experiments, statistical modelling of omics data, analysis of MS Imaging datasets, data fusion chemometrics and the analysis of MS data. ABSTRACT: Measuring data does not anymore represent a limitation in almost all research areas. To fully profit of this wealth of information, however, it is the more and more necessary to look to the experimental activity also in a data science perspective. Metadata organization, experimental design, data mining and statistical analysis are indeed fundamental aspects that have to be taken into account in order to fully exploit the potential of Isotopic Ratio Mass Spectrometry in food science and authenticity. The aim of the talk is to introduce and discuss some of the key idea of this “data analysis” point of view in the field of food characterization. Simon Kelly is a Food Safety Specialist for traceability at the FAO/IAEA Joint Division of Nuclear Techniques in Food and Agriculture in the Seibersdorf Food and Environmental Protection laboratory in Austria. 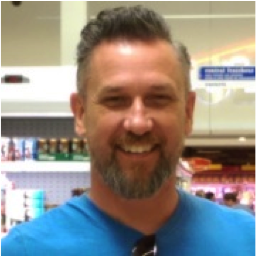 Simon has been involved in food authenticity research for over 20 years and has previously held positions at the Institute of Food Research (Norwich, UK) and the Food and Environment Research Agency (York, UK). His current research interests include developing field-deployable methods for rapid screening of food adulteration, improving accessibility to isotopic methods for developing countries and investigating position-specific isotope ratios measured by mass spectrometry to improve food authentication methods. ABSTRACT: Recurrent food authenticity and safety crises endanger public health and provoke loss of public confidence. These crises may also result in loss of substantial economic value by authentic product manufacturers and discredit entire economic sectors leading to barriers to international trade. Nevertheless, consumers have always shown an interest in where their food comes from, how it is produced and the level of quality of a product. Legislative measures, rules and regulations are continually being put in place to try to protect the consumer and scientific techniques are required to support these measures. Nuclear and related techniques have an important role to play in protecting consumers’ informed choice in terms of independently verifying an ever increasing number of labelling claims. This presentation will give an overview of the work of the IAEA in promoting the use of isotopic and related techniques to detect food adulteration in developing countries and some relevant examples in the fight against food fraud e.g. Organic and Halal food authentication. Michèle Lees holds a Bachelor of Science Degree in Pure and Applied Chemistry from the University of Nottingham in the UK and a PhD in Molecular Chemistry from the University of Nantes in France. 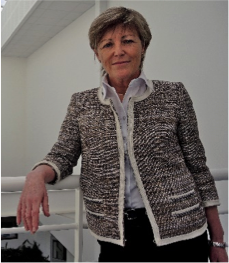 Michèle Lees is now an independent expert in food integrity testing having recently retired from her job as Director of Collaborative Research with Eurofins where she has worked since 1990. Michèle was based in the Nantes laboratory in France, which hosts Eurofins Scientific’s R&D facilities and is one of the world’s leading laboratories for the use of isotopic techniques in food and beverage authentication and best known for its pioneering role in the development of the SNIF-NMR technique (Site specific Natural Isotopic Fractionation studied by Nuclear Magnetic Resonance). In her role as Director of Collaborative Research she was principally involved in studies of food authenticity, including the management of several European funded research projects. Her main research work involved the development of new techniques to verify the authenticity of fruit juice and fruit-based products, wines and spirits, olive and other vegetal oils. ABSTRACT: With food fraud firmly back on today’s agenda for enforcement authorities, due in part to recent incidents such as the horse meat scandal, stable isotope ratio analyses are once again demonstrating their potential in ensuring authentic food in the marketplace. Isotope ratio mass spectrometry techniques are now widely accepted as useful analytical tools to authenticate food and beverages; a number have gained official recognition and have been successfully used in legal court cases. What is much less known however is the long road travelled to develop the broad range of applications that are in use today and, more importantly, to ensure that the measuring systems and their results are robust and fit for purpose. Added value and/or high volume products, such as wines and spirits, fruits juice, flavours, etc. have often been victims of economic adulteration, by various practices such as the addition of cheaper extenders such as sugar or water or the substitution of all or part of the product with a cheaper ingredient. Given the very wide variability in the chemical composition of natural products, classical analytical techniques are not able to detect fairly low levels of adulteration. The use of SIRA is often the only way to differentiate between the same components from two different sources. The intention of fraudsters is to hide as best they can their illegal practices. Keeping an eye on the key drivers for food fraud can help the scientific enforcement community identify where potential adulteration may be hidden. However even when a suitable solution is found, the clever fraudster will find a way around it. It is this never-ending cycle which makes it necessary to continue developing ever more sophisticated analytical methods for food authentication. Mateja Modic, PhD in Food Scineces, works for Žito d. o. o., one of the largest Slovenian food processing companies. She took up employment there after completing her studies in Food Science. She is responsible for various fields of development of new innovative products. Since 2001, she’s been holding the position of the Director of Development. 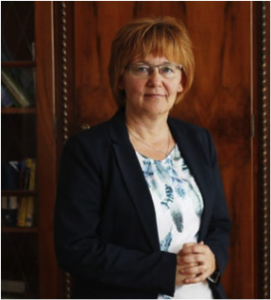 Mateja also a long-standing internal quality system and food safety auditor, and an active member of various industry associations in the framework of the Chamber of Commerce and Industry of Slovenia. 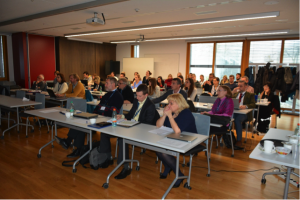 As a representative of Žito, she actively participated in the preparation of the orientations of the Slovenian strategy of smart specialisation in the field of sustainable food production. Along with numerous partners, they have formed a consortium and successfully prepaired the research programme Functional Foods of the Future F4F. ABSTRACT: The F4F develops sustainable production of high-quality food and impacts the establishment of innovative, short supply chains. The developmental work is conducted upon two prime sets of product groups: 1) Enriched foods with added functional properties; and 2) Foods with a reduced content of undesirable substances. In the programme, 7 chains of added value (cereal, milk, meat, fruit/vegetable, honey, food additives, and intelligent packaging). The programme comprises 11 projects, the aim of which is to develop 9 prototype groups. The entire programme is conducted through the stages TRL 3–4 and TRL 5–6. The aims will be achieved through the collaboration of the leading Slovenian, internationally acclaimed research and development institutions and companies. The consortium consists of 16 partners – 8 companies and 8 research and development institutions. Arndt Schimmelmann received his M.Sc. Chemistry from the University of Braunschweig, Federal Republic of Germany 1979 and Ph.D. in Geochemistry, University of California in Los Angeles, USA1985. His scientific positions include a postdoc in 1985-1988, Scripps Institution of Oceanography and then 1988-1993 as a specialist at the Scripps Institution of Oceanography before becoming a Senior Scientist at the Indiana University, Department of Geological Sciences. His current research activities include the development of organic hydrogen, carbon, and nitrogen stable isotope reference materials, research of shale gas, funded by the U.S. Department of Energy, paleoclimatology of laminated sediments, radon isotopes in soil-built dwellings in developing countries, subterranean methanotrophic consumption of atmospheric methane. ABSTRACT: Until recently, the widespread adoption of relative stable isotope-ratio measurements in organic matter by diverse scientific disciplines was at odds with the dearth of international organic stable isotopic reference materials (RMs). In 2011, the U.S. National Science Foundation (NSF) funded an initiative of 10 laboratories from 7 countries to jointly develop much needed new organic RMs for future international distribution. The selection of targeted RMs covered various common compound classes of broad technical and scientific interest. We had to accept compromises to approach the ideal of high chemical stability, lack of toxicity, and low price of raw materials. It took five years from the planning stage to the final release of 19 new RMs in April 2016 with involvement of the USGS, IAEA and NIST. With the exception of polyethylene and vacuum pump oils, all new organic RMs are individual, chemically pure substances, which can be used for compound-specific isotopic measurements in conjunction with liquid and gas chromatographic interfaces. Four exploratory workshops will be organised with key note speakers and invited lecturers, covering the main scientific topics of the Chair the most reputable scientists in the respective fields of research will be invited. During the workshops, ample time will be devoted to discussions, exploring the possibilities for future research topics and, if applicable, on-site solving of practical technical problems. Selected papers presented at the workshops will be published in international scientific journals. Key note lectures will be made available at the institute’s video lectures web site.